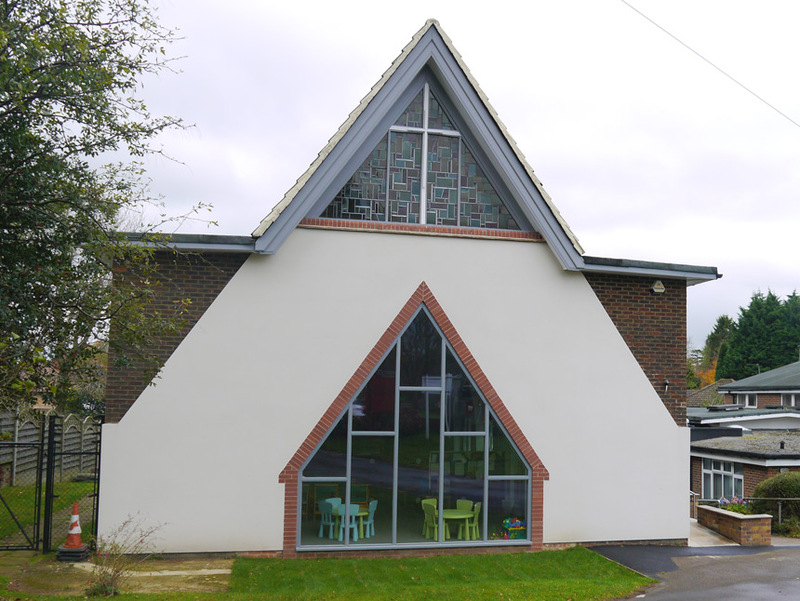 The Church was built in the 1960’s with meeting rooms and hall added in the following years, the spaces are used by the local community and members of the church. The buildings were constructed at level much lower than the road and as a consequence of which the centre could not be seen well from road level resulting in its presence being overlooked. 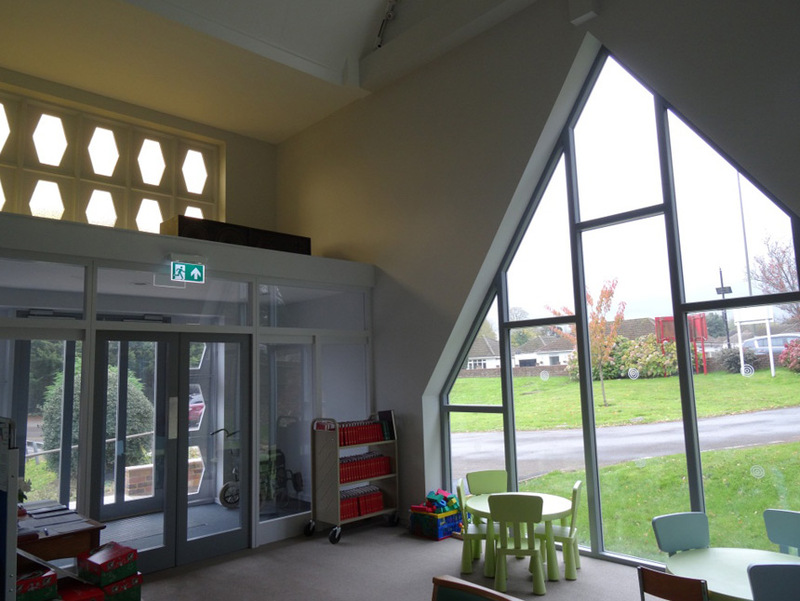 The change in level also caused difficulties for mobility access between the community rooms and church itself, resulting in members of the congregation having to gain access between by way of the external ramp in all weather conditions. Located in Surrey. 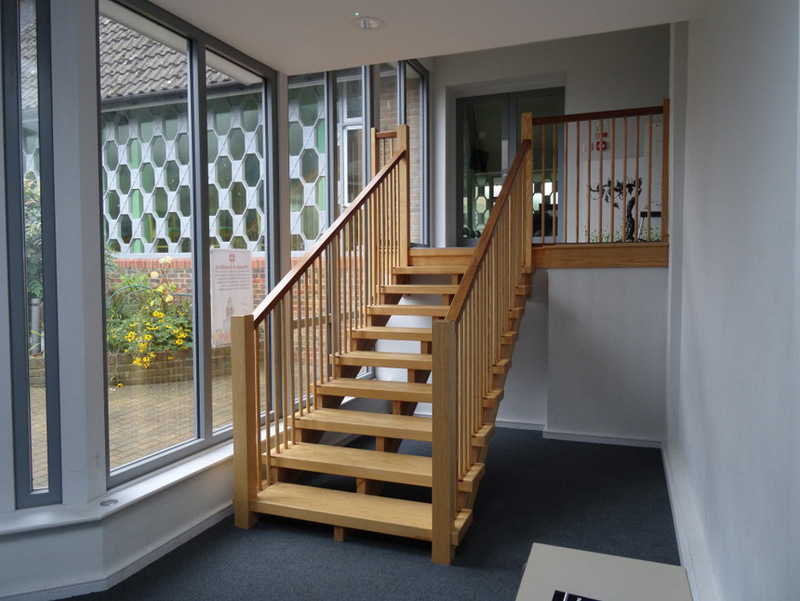 The proposal was to extend the entrance foyer to accommodate a new staircase and mobility lift, to relocate the main entrance into the church and open the church to passers by which can be viewed through the new glazed frame facing the road. 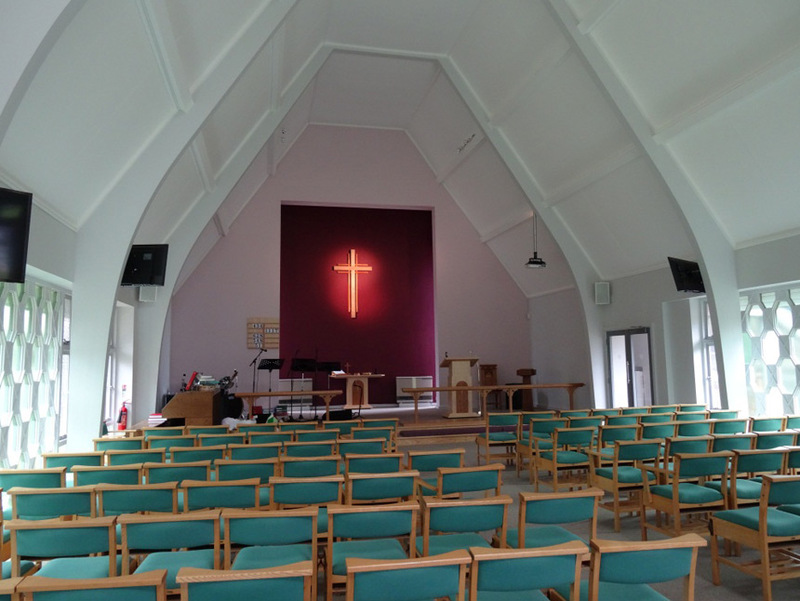 The project also included internal redecorations within the church itself, including removal of the mezzanine and overhaul of the heating, lighting and audio-visual sound systems.